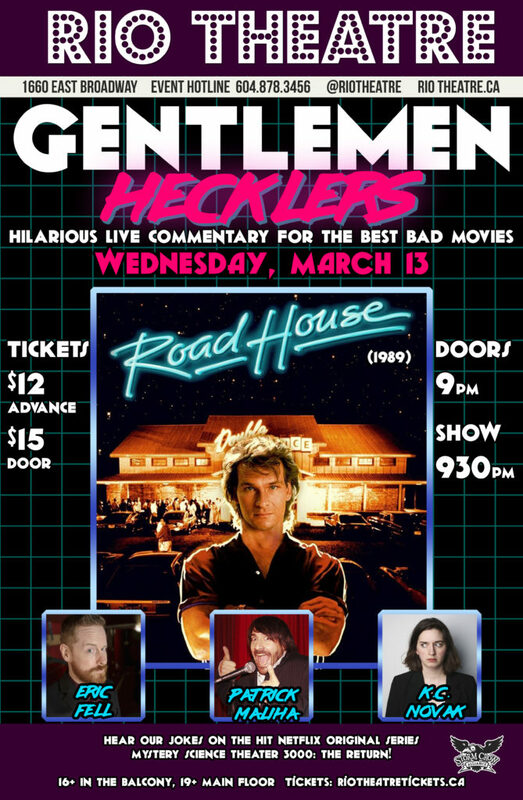 Pain don’t hurt, and neither does the movie ROAD HOUSE, when it’s accompanied by live, hilarious commentary from Eric Fell, Patrick Maliha, and K.C. Novak! Join us March 13th at The Rio Theatre in Vancouver, B.C. for this amazing treat! you’ll have the time of your life in this unchained melody of Swayzeness!